Game between the San Antonio Spurs and the Utah Jazz played on Mon July 2nd 2018. The Jazz beat the Spurs 92 to 76. Derrick White led the scoring with 22 points, Derrick White led in assists with 6 assists, and Amida Brimah led by grabbing 9 rebounds. Game between the San Antonio Spurs and the Atlanta Hawks played on Tue July 3rd 2018. The Spurs beat the Hawks 103 to 81. Derrick White led the scoring with 21 points, Derrick White led in assists with 9 assists, and Amida Brimah led by grabbing 11 rebounds. Game between the Memphis Grizzlies and the San Antonio Spurs played on Thu July 5th 2018. The Spurs beat the Grizzlies 94 to 87. Derrick White led the scoring with 26 points, Derrick White led in assists with 6 assists, and Chimezie Metu led by grabbing 9 rebounds. Game between the San Antonio Spurs and the Indiana Pacers played on Sat July 7th 2018. The Pacers beat the Spurs 86 to 76. Derrick White led the scoring with 19 points, Derrick White led in assists with 5 assists, and Jaron Blossomgame led by grabbing 10 rebounds. Game between the Washington Wizards and the San Antonio Spurs played on Sun July 8th 2018. The Spurs beat the Wizards 95 to 90. Jaron Blossomgame led the scoring with 22 points, Olivier Hanlan led in assists with 3 assists, and Jaron Blossomgame led by grabbing 9 rebounds. Game between the San Antonio Spurs and the Portland Trail Blazers played on Tue July 10th 2018. The Trail Blazers beat the Spurs 95 to 89. Jaron Blossomgame led the scoring with 12 points, London Perrantes led in assists with 5 assists, and Amida Brimah led by grabbing 9 rebounds. Game between the San Antonio Spurs and the Milwaukee Bucks played on Thu July 12th 2018. The Bucks beat the Spurs 83 to 75. 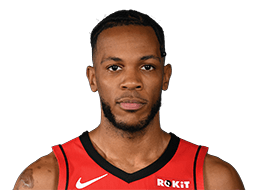 Jaron Blossomgame led the scoring with 19 points, Jeff Ledbetter led in assists with 4 assists, and Jaron Blossomgame led by grabbing 9 rebounds. Game between the San Antonio Spurs and the Phoenix Suns played on Fri July 13th 2018. The Suns beat the Spurs 90 to 55. Maverick Rowan led the scoring with 11 points, London Perrantes led in assists with 4 assists, and Jaron Blossomgame led by grabbing 6 rebounds. Game between the Miami Heat and the San Antonio Spurs played on Sun September 30th 2018. The Spurs beat the Heat 104 to 100. 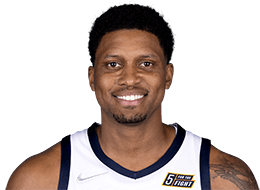 Rudy Gay led the scoring with 13 points, Patty Mills led in assists with 4 assists, and Jakob Poeltl led by grabbing 10 rebounds. Game between the Detroit Pistons and the San Antonio Spurs played on Fri October 5th 2018. The Spurs beat the Pistons 117 to 93. 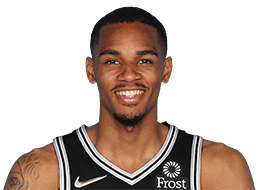 Dejounte Murray led the scoring with 16 points, DeMar DeRozan led in assists with 3 assists, and Dejounte Murray led by grabbing 11 rebounds. Game between the Houston Rockets and the San Antonio Spurs played on Sun October 7th 2018. The Rockets beat the Spurs 108 to 93. DeMar DeRozan led the scoring with 22 points, DeMar DeRozan led in assists with 5 assists, and Pau Gasol led by grabbing 9 rebounds. Game between the San Antonio Spurs and the Atlanta Hawks played on Wed October 10th 2018. The Hawks beat the Spurs 130 to 127. Rudy Gay led the scoring with 28 points, Pau Gasol led in assists with 10 assists, and Pau Gasol led by grabbing 6 rebounds. Game between the San Antonio Spurs and the Orlando Magic played on Fri October 12th 2018. The Spurs beat the Magic 100 to 81. DeMar DeRozan led the scoring with 20 points, LaMarcus Aldridge led in assists with 4 assists, and LaMarcus Aldridge led by grabbing 15 rebounds. Game between the Minnesota Timberwolves and the San Antonio Spurs played on Wed October 17th 2018. The Spurs beat the Timberwolves 112 to 108. DeMar DeRozan led the scoring with 28 points, Pau Gasol led in assists with 6 assists, and LaMarcus Aldridge led by grabbing 19 rebounds. Game between the San Antonio Spurs and the Portland Trail Blazers played on Sat October 20th 2018. The Trail Blazers beat the Spurs 121 to 108. DeMar DeRozan led the scoring with 28 points, DeMar DeRozan led in assists with 9 assists, and LaMarcus Aldridge led by grabbing 8 rebounds. Game between the San Antonio Spurs and the Los Angeles Lakers played on Mon October 22nd 2018. The Spurs beat the Lakers 143 to 142. LaMarcus Aldridge led the scoring with 37 points, DeMar DeRozan led in assists with 14 assists, and Dante Cunningham led by grabbing 12 rebounds. Game between the Indiana Pacers and the San Antonio Spurs played on Wed October 24th 2018. The Pacers beat the Spurs 116 to 96. DeMar DeRozan led the scoring with 18 points, DeMar DeRozan led in assists with 4 assists, and LaMarcus Aldridge led by grabbing 13 rebounds. Game between the Los Angeles Lakers and the San Antonio Spurs played on Sat October 27th 2018. The Spurs beat the Lakers 110 to 106. DeMar DeRozan led the scoring with 30 points, DeMar DeRozan led in assists with 8 assists, and DeMar DeRozan led by grabbing 12 rebounds. Game between the Dallas Mavericks and the San Antonio Spurs played on Mon October 29th 2018. The Spurs beat the Mavericks 113 to 108. DeMar DeRozan led the scoring with 34 points, DeMar DeRozan led in assists with 9 assists, and Rudy Gay led by grabbing 11 rebounds. Game between the San Antonio Spurs and the Phoenix Suns played on Wed October 31st 2018. The Spurs beat the Suns 120 to 90. 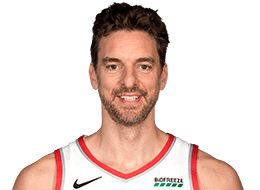 DeMar DeRozan led the scoring with 25 points, Bryn Forbes led in assists with 7 assists, and Pau Gasol led by grabbing 9 rebounds. Game between the New Orleans Pelicans and the San Antonio Spurs played on Sat November 3rd 2018. The Spurs beat the Pelicans 109 to 95. DeMar DeRozan led the scoring with 26 points, Patty Mills led in assists with 7 assists, and LaMarcus Aldridge led by grabbing 12 rebounds. Game between the Orlando Magic and the San Antonio Spurs played on Sun November 4th 2018. The Magic beat the Spurs 117 to 110. DeMar DeRozan led the scoring with 25 points, DeMar DeRozan led in assists with 5 assists, and Pau Gasol led by grabbing 8 rebounds. Game between the San Antonio Spurs and the Miami Heat played on Wed November 7th 2018. The Heat beat the Spurs 95 to 88. Patty Mills led the scoring with 20 points, DeMar DeRozan led in assists with 8 assists, and LaMarcus Aldridge led by grabbing 16 rebounds. Game between the Houston Rockets and the San Antonio Spurs played on Sat November 10th 2018. The Spurs beat the Rockets 96 to 89. LaMarcus Aldridge led the scoring with 27 points, Derrick White led in assists with 8 assists, and DeMar DeRozan led by grabbing 11 rebounds. 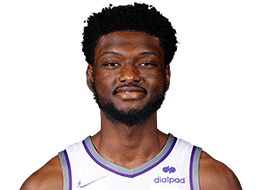 Game between the San Antonio Spurs and the Sacramento Kings played on Mon November 12th 2018. The Kings beat the Spurs 104 to 99. DeMar DeRozan led the scoring with 23 points, DeMar DeRozan led in assists with 8 assists, and LaMarcus Aldridge led by grabbing 18 rebounds. Game between the San Antonio Spurs and the Phoenix Suns played on Wed November 14th 2018. The Suns beat the Spurs 116 to 96. DeMar DeRozan led the scoring with 24 points, DeMar DeRozan led in assists with 4 assists, and LaMarcus Aldridge led by grabbing 12 rebounds. Game between the San Antonio Spurs and the LA Clippers played on Thu November 15th 2018. The Clippers beat the Spurs 116 to 111. DeMar DeRozan led the scoring with 34 points, DeMar DeRozan led in assists with 5 assists, and LaMarcus Aldridge led by grabbing 16 rebounds. Game between the Golden State Warriors and the San Antonio Spurs played on Sun November 18th 2018. The Spurs beat the Warriors 104 to 92. LaMarcus Aldridge led the scoring with 24 points, DeMar DeRozan led in assists with 9 assists, and LaMarcus Aldridge led by grabbing 18 rebounds. Game between the San Antonio Spurs and the New Orleans Pelicans played on Mon November 19th 2018. The Pelicans beat the Spurs 140 to 126. DeMar DeRozan led the scoring with 21 points, DeMar DeRozan led in assists with 5 assists, and LaMarcus Aldridge led by grabbing 10 rebounds. Game between the Memphis Grizzlies and the San Antonio Spurs played on Wed November 21st 2018. The Grizzlies beat the Spurs 104 to 103. DeMar DeRozan led the scoring with 24 points, DeMar DeRozan led in assists with 5 assists, and LaMarcus Aldridge led by grabbing 11 rebounds. Game between the San Antonio Spurs and the Indiana Pacers played on Fri November 23rd 2018. The Spurs beat the Pacers 111 to 100. LaMarcus Aldridge led the scoring with 33 points, Rudy Gay led in assists with 7 assists, and LaMarcus Aldridge led by grabbing 14 rebounds. Game between the San Antonio Spurs and the Milwaukee Bucks played on Sat November 24th 2018. The Bucks beat the Spurs 135 to 129. 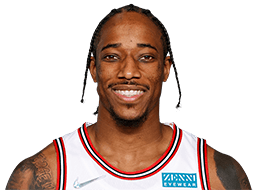 DeMar DeRozan led the scoring with 34 points, DeMar DeRozan led in assists with 7 assists, and Dante Cunningham led by grabbing 10 rebounds. Game between the San Antonio Spurs and the Chicago Bulls played on Mon November 26th 2018. The Spurs beat the Bulls 108 to 107. DeMar DeRozan led the scoring with 21 points, Bryn Forbes led in assists with 6 assists, and LaMarcus Aldridge led by grabbing 8 rebounds. Game between the San Antonio Spurs and the Minnesota Timberwolves played on Wed November 28th 2018. The Timberwolves beat the Spurs 128 to 89. Jakob Poeltl led the scoring with 14 points, Rudy Gay led in assists with 4 assists, and LaMarcus Aldridge led by grabbing 9 rebounds. Game between the Houston Rockets and the San Antonio Spurs played on Fri November 30th 2018. The Rockets beat the Spurs 136 to 105. LaMarcus Aldridge led the scoring with 20 points, Derrick White led in assists with 9 assists, and Rudy Gay led by grabbing 8 rebounds. Game between the Portland Trail Blazers and the San Antonio Spurs played on Sun December 2nd 2018. The Spurs beat the Trail Blazers 131 to 118. DeMar DeRozan led the scoring with 36 points, DeMar DeRozan led in assists with 6 assists, and LaMarcus Aldridge led by grabbing 8 rebounds. Game between the San Antonio Spurs and the Utah Jazz played on Tue December 4th 2018. The Jazz beat the Spurs 139 to 105. 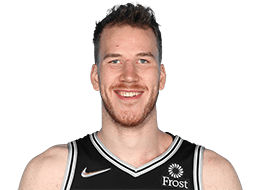 Jakob Poeltl led the scoring with 20 points, DeMar DeRozan led in assists with 7 assists, and Jakob Poeltl led by grabbing 7 rebounds. Game between the San Antonio Spurs and the Los Angeles Lakers played on Wed December 5th 2018. The Lakers beat the Spurs 121 to 113. DeMar DeRozan led the scoring with 32 points, Derrick White led in assists with 5 assists, and LaMarcus Aldridge led by grabbing 9 rebounds. Game between the Los Angeles Lakers and the San Antonio Spurs played on Fri December 7th 2018. The Spurs beat the Lakers 133 to 120. DeMar DeRozan led the scoring with 36 points, DeMar DeRozan led in assists with 9 assists, and LaMarcus Aldridge led by grabbing 8 rebounds. Game between the Utah Jazz and the San Antonio Spurs played on Sun December 9th 2018. The Spurs beat the Jazz 110 to 97. DeMar DeRozan led the scoring with 26 points, DeMar DeRozan led in assists with 8 assists, and Rudy Gay led by grabbing 15 rebounds. Game between the Phoenix Suns and the San Antonio Spurs played on Tue December 11th 2018. The Spurs beat the Suns 111 to 86. 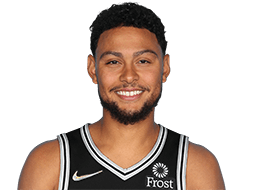 Bryn Forbes led the scoring with 24 points, DeMar DeRozan led in assists with 9 assists, and Bryn Forbes led by grabbing 11 rebounds. Game between the LA Clippers and the San Antonio Spurs played on Thu December 13th 2018. The Spurs beat the Clippers 125 to 87. LaMarcus Aldridge led the scoring with 27 points, DeMar DeRozan led in assists with 7 assists, and Rudy Gay led by grabbing 6 rebounds. Game between the Chicago Bulls and the San Antonio Spurs played on Sat December 15th 2018. The Bulls beat the Spurs 98 to 93. LaMarcus Aldridge led the scoring with 29 points, Rudy Gay led in assists with 4 assists, and LaMarcus Aldridge led by grabbing 12 rebounds. Game between the Philadelphia 76ers and the San Antonio Spurs played on Mon December 17th 2018. The Spurs beat the 76ers 123 to 96. Rudy Gay led the scoring with 21 points, DeMar DeRozan led in assists with 7 assists, and LaMarcus Aldridge led by grabbing 10 rebounds. Game between the San Antonio Spurs and the Orlando Magic played on Wed December 19th 2018. The Spurs beat the Magic 129 to 90. LaMarcus Aldridge led the scoring with 20 points, Derrick White led in assists with 6 assists, and DeMar DeRozan led by grabbing 7 rebounds. Game between the Minnesota Timberwolves and the San Antonio Spurs played on Fri December 21st 2018. The Spurs beat the Timberwolves 124 to 98. Bryn Forbes led the scoring with 22 points, DeMar DeRozan led in assists with 8 assists, and LaMarcus Aldridge led by grabbing 9 rebounds. Game between the San Antonio Spurs and the Houston Rockets played on Sat December 22nd 2018. The Rockets beat the Spurs 108 to 101. DeMar DeRozan led the scoring with 28 points, DeMar DeRozan led in assists with 8 assists, and Rudy Gay led by grabbing 8 rebounds. Game between the Denver Nuggets and the San Antonio Spurs played on Wed December 26th 2018. The Spurs beat the Nuggets 111 to 103. DeMar DeRozan led the scoring with 30 points, DeMar DeRozan led in assists with 5 assists, and Jakob Poeltl led by grabbing 11 rebounds. Game between the San Antonio Spurs and the Denver Nuggets played on Fri December 28th 2018. The Nuggets beat the Spurs 102 to 99. LaMarcus Aldridge led the scoring with 24 points, DeMar DeRozan led in assists with 5 assists, and LaMarcus Aldridge led by grabbing 7 rebounds. Game between the San Antonio Spurs and the LA Clippers played on Sat December 29th 2018. The Spurs beat the Clippers 122 to 111. LaMarcus Aldridge led the scoring with 38 points, Bryn Forbes led in assists with 7 assists, and DeMar DeRozan led by grabbing 13 rebounds. 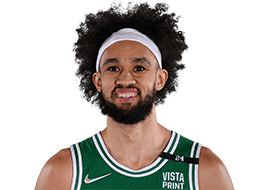 Game between the Boston Celtics and the San Antonio Spurs played on Mon December 31st 2018. The Spurs beat the Celtics 120 to 111. LaMarcus Aldridge led the scoring with 32 points, DeMar DeRozan led in assists with 10 assists, and LaMarcus Aldridge led by grabbing 9 rebounds. Game between the Toronto Raptors and the San Antonio Spurs played on Thu January 3rd 2019. The Spurs beat the Raptors 125 to 107. LaMarcus Aldridge led the scoring with 23 points, DeMar DeRozan led in assists with 11 assists, and DeMar DeRozan led by grabbing 14 rebounds. Game between the Memphis Grizzlies and the San Antonio Spurs played on Sat January 5th 2019. The Spurs beat the Grizzlies 108 to 88. Derrick White led the scoring with 19 points, LaMarcus Aldridge led in assists with 7 assists, and DeMar DeRozan led by grabbing 9 rebounds. Game between the San Antonio Spurs and the Detroit Pistons played on Mon January 7th 2019. The Spurs beat the Pistons 119 to 107. DeMar DeRozan led the scoring with 26 points, DeMar DeRozan led in assists with 9 assists, and DeMar DeRozan led by grabbing 7 rebounds. Game between the San Antonio Spurs and the Memphis Grizzlies played on Wed January 9th 2019. The Grizzlies beat the Spurs 96 to 86. Bryn Forbes led the scoring with 14 points, DeMar DeRozan led in assists with 4 assists, and Pau Gasol led by grabbing 12 rebounds. Game between the Oklahoma City Thunder and the San Antonio Spurs played on Thu January 10th 2019. The Spurs beat the Thunder 154 to 147. LaMarcus Aldridge led the scoring with 56 points, DeMar DeRozan led in assists with 11 assists, and LaMarcus Aldridge led by grabbing 9 rebounds. Game between the San Antonio Spurs and the Oklahoma City Thunder played on Sat January 12th 2019. The Thunder beat the Spurs 122 to 112. 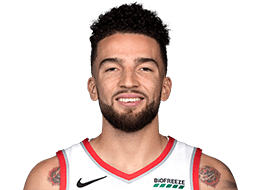 Marco Belinelli led the scoring with 24 points, DeMar DeRozan led in assists with 4 assists, and Jakob Poeltl led by grabbing 10 rebounds. Game between the Charlotte Hornets and the San Antonio Spurs played on Mon January 14th 2019. The Hornets beat the Spurs 108 to 93. LaMarcus Aldridge led the scoring with 28 points, Derrick White led in assists with 7 assists, and LaMarcus Aldridge led by grabbing 10 rebounds. Game between the San Antonio Spurs and the Dallas Mavericks played on Wed January 16th 2019. The Spurs beat the Mavericks 105 to 101. 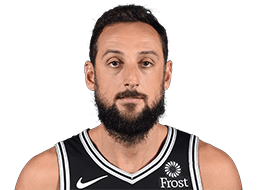 Marco Belinelli led the scoring with 17 points, DeMar DeRozan led in assists with 9 assists, and Jakob Poeltl led by grabbing 7 rebounds. Game between the San Antonio Spurs and the Minnesota Timberwolves played on Fri January 18th 2019. The Spurs beat the Timberwolves 116 to 113. LaMarcus Aldridge led the scoring with 25 points, Patty Mills led in assists with 8 assists, and LaMarcus Aldridge led by grabbing 9 rebounds. Game between the LA Clippers and the San Antonio Spurs played on Sun January 20th 2019. The Clippers beat the Spurs 103 to 95. LaMarcus Aldridge led the scoring with 30 points, Derrick White led in assists with 4 assists, and LaMarcus Aldridge led by grabbing 14 rebounds. Game between the San Antonio Spurs and the Philadelphia 76ers played on Wed January 23rd 2019. The 76ers beat the Spurs 122 to 120. DeMar DeRozan led the scoring with 26 points, LaMarcus Aldridge led in assists with 6 assists, and DeMar DeRozan led by grabbing 9 rebounds. Game between the San Antonio Spurs and the New Orleans Pelicans played on Sat January 26th 2019. The Spurs beat the Pelicans 126 to 114. LaMarcus Aldridge led the scoring with 28 points, Patty Mills led in assists with 5 assists, and LaMarcus Aldridge led by grabbing 12 rebounds. Game between the Washington Wizards and the San Antonio Spurs played on Sun January 27th 2019. The Spurs beat the Wizards 132 to 119. LaMarcus Aldridge led the scoring with 30 points, Patty Mills led in assists with 7 assists, and LaMarcus Aldridge led by grabbing 9 rebounds. Game between the Phoenix Suns and the San Antonio Spurs played on Tue January 29th 2019. The Spurs beat the Suns 126 to 124. LaMarcus Aldridge led the scoring with 29 points, Rudy Gay led in assists with 5 assists, and LaMarcus Aldridge led by grabbing 14 rebounds. Game between the Brooklyn Nets and the San Antonio Spurs played on Thu January 31st 2019. The Spurs beat the Nets 117 to 114. Derrick White led the scoring with 26 points, Derrick White led in assists with 6 assists, and LaMarcus Aldridge led by grabbing 13 rebounds. Game between the New Orleans Pelicans and the San Antonio Spurs played on Sat February 2nd 2019. The Spurs beat the Pelicans 113 to 108. LaMarcus Aldridge led the scoring with 25 points, DeMar DeRozan led in assists with 5 assists, and LaMarcus Aldridge led by grabbing 14 rebounds. Game between the San Antonio Spurs and the Sacramento Kings played on Mon February 4th 2019. The Kings beat the Spurs 127 to 112. DeMar DeRozan led the scoring with 24 points, DeMar DeRozan led in assists with 4 assists, and LaMarcus Aldridge led by grabbing 9 rebounds. Game between the San Antonio Spurs and the Golden State Warriors played on Wed February 6th 2019. The Warriors beat the Spurs 141 to 102. Patty Mills led the scoring with 16 points, Jakob Poeltl led in assists with 6 assists, and Dante Cunningham led by grabbing 5 rebounds. Game between the San Antonio Spurs and the Portland Trail Blazers played on Thu February 7th 2019. The Trail Blazers beat the Spurs 127 to 118. DeMar DeRozan led the scoring with 35 points, Patty Mills led in assists with 8 assists, and LaMarcus Aldridge led by grabbing 10 rebounds. Game between the San Antonio Spurs and the Utah Jazz played on Sat February 9th 2019. The Jazz beat the Spurs 125 to 105. DeMar DeRozan led the scoring with 23 points, DeMar DeRozan led in assists with 5 assists, and LaMarcus Aldridge led by grabbing 10 rebounds. Game between the San Antonio Spurs and the Memphis Grizzlies played on Tue February 12th 2019. The Spurs beat the Grizzlies 108 to 107. LaMarcus Aldridge led the scoring with 22 points, Rudy Gay led in assists with 8 assists, and Rudy Gay led by grabbing 12 rebounds. Game between the San Antonio Spurs and the Toronto Raptors played on Fri February 22nd 2019. The Raptors beat the Spurs 120 to 117. DeMar DeRozan led the scoring with 23 points, DeMar DeRozan led in assists with 8 assists, and Rudy Gay led by grabbing 10 rebounds. Game between the San Antonio Spurs and the New York Knicks played on Sun February 24th 2019. The Knicks beat the Spurs 130 to 118. DeMar DeRozan led the scoring with 32 points, DeMar DeRozan led in assists with 4 assists, and DeMar DeRozan led by grabbing 9 rebounds. Game between the San Antonio Spurs and the Brooklyn Nets played on Mon February 25th 2019. The Nets beat the Spurs 101 to 85. LaMarcus Aldridge led the scoring with 26 points, Derrick White led in assists with 4 assists, and LaMarcus Aldridge led by grabbing 10 rebounds. Game between the Detroit Pistons and the San Antonio Spurs played on Wed February 27th 2019. The Spurs beat the Pistons 105 to 93. LaMarcus Aldridge led the scoring with 24 points, DeMar DeRozan led in assists with 8 assists, and Jakob Poeltl led by grabbing 14 rebounds. Game between the Oklahoma City Thunder and the San Antonio Spurs played on Sat March 2nd 2019. The Spurs beat the Thunder 116 to 102. LaMarcus Aldridge led the scoring with 27 points, DeMar DeRozan led in assists with 7 assists, and LaMarcus Aldridge led by grabbing 10 rebounds. Game between the Denver Nuggets and the San Antonio Spurs played on Mon March 4th 2019. The Spurs beat the Nuggets 104 to 103. DeMar DeRozan led the scoring with 24 points, Derrick White led in assists with 9 assists, and LaMarcus Aldridge led by grabbing 9 rebounds. Game between the San Antonio Spurs and the Atlanta Hawks played on Wed March 6th 2019. The Spurs beat the Hawks 111 to 104. LaMarcus Aldridge led the scoring with 32 points, Derrick White led in assists with 9 assists, and Rudy Gay led by grabbing 11 rebounds. Game between the Milwaukee Bucks and the San Antonio Spurs played on Sun March 10th 2019. The Spurs beat the Bucks 121 to 114. LaMarcus Aldridge led the scoring with 29 points, DeMar DeRozan led in assists with 6 assists, and LaMarcus Aldridge led by grabbing 15 rebounds. Game between the San Antonio Spurs and the Dallas Mavericks played on Tue March 12th 2019. The Spurs beat the Mavericks 112 to 105. DeMar DeRozan led the scoring with 33 points, Derrick White led in assists with 7 assists, and LaMarcus Aldridge led by grabbing 7 rebounds. Game between the New York Knicks and the San Antonio Spurs played on Fri March 15th 2019. The Spurs beat the Knicks 109 to 83. LaMarcus Aldridge led the scoring with 18 points, DeMar DeRozan led in assists with 7 assists, and LaMarcus Aldridge led by grabbing 11 rebounds. Game between the Portland Trail Blazers and the San Antonio Spurs played on Sat March 16th 2019. The Spurs beat the Trail Blazers 108 to 103. DeMar DeRozan led the scoring with 21 points, Patty Mills led in assists with 4 assists, and DeMar DeRozan led by grabbing 8 rebounds. Game between the Golden State Warriors and the San Antonio Spurs played on Mon March 18th 2019. The Spurs beat the Warriors 111 to 105. DeMar DeRozan led the scoring with 26 points, DeMar DeRozan led in assists with 8 assists, and LaMarcus Aldridge led by grabbing 13 rebounds. Game between the Miami Heat and the San Antonio Spurs played on Wed March 20th 2019. The Heat beat the Spurs 110 to 105. LaMarcus Aldridge led the scoring with 17 points, Rudy Gay led in assists with 7 assists, and DeMar DeRozan led by grabbing 15 rebounds. Game between the San Antonio Spurs and the Houston Rockets played on Fri March 22nd 2019. The Rockets beat the Spurs 111 to 105. Bryn Forbes led the scoring with 20 points, DeMar DeRozan led in assists with 8 assists, and Rudy Gay led by grabbing 9 rebounds. Game between the San Antonio Spurs and the Boston Celtics played on Sun March 24th 2019. The Spurs beat the Celtics 115 to 96. LaMarcus Aldridge led the scoring with 48 points, DeMar DeRozan led in assists with 11 assists, and LaMarcus Aldridge led by grabbing 13 rebounds. Game between the San Antonio Spurs and the Charlotte Hornets played on Tue March 26th 2019. The Hornets beat the Spurs 125 to 116. DeMar DeRozan led the scoring with 30 points, Derrick White led in assists with 7 assists, and LaMarcus Aldridge led by grabbing 15 rebounds. Game between the Cleveland Cavaliers and the San Antonio Spurs played on Thu March 28th 2019. The Spurs beat the Cavaliers 116 to 110. DeMar DeRozan led the scoring with 25 points, DeMar DeRozan led in assists with 8 assists, and Rudy Gay led by grabbing 8 rebounds. Game between the Sacramento Kings and the San Antonio Spurs played on Sun March 31st 2019. The Kings beat the Spurs 113 to 106. LaMarcus Aldridge led the scoring with 27 points, DeMar DeRozan led in assists with 7 assists, and LaMarcus Aldridge led by grabbing 18 rebounds. Game between the Atlanta Hawks and the San Antonio Spurs played on Tue April 2nd 2019. The Spurs beat the Hawks 117 to 111. DeMar DeRozan led the scoring with 29 points, DeMar DeRozan led in assists with 7 assists, and Rudy Gay led by grabbing 11 rebounds. Game between the San Antonio Spurs and the Denver Nuggets played on Wed April 3rd 2019. The Nuggets beat the Spurs 113 to 85. LaMarcus Aldridge led the scoring with 16 points, DeMar DeRozan led in assists with 3 assists, and Rudy Gay led by grabbing 8 rebounds. Game between the San Antonio Spurs and the Washington Wizards played on Fri April 5th 2019. The Spurs beat the Wizards 129 to 112. LaMarcus Aldridge led the scoring with 24 points, Derrick White led in assists with 8 assists, and LaMarcus Aldridge led by grabbing 7 rebounds. Game between the San Antonio Spurs and the Cleveland Cavaliers played on Sun April 7th 2019. The Spurs beat the Cavaliers 112 to 90. LaMarcus Aldridge led the scoring with 18 points, DeMar DeRozan led in assists with 9 assists, and LaMarcus Aldridge led by grabbing 13 rebounds. Game between the Dallas Mavericks and the San Antonio Spurs played on Wed April 10th 2019. The Spurs beat the Mavericks 105 to 94. 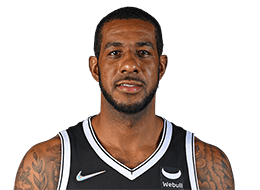 LaMarcus Aldridge led the scoring with 34 points, Patty Mills led in assists with 5 assists, and LaMarcus Aldridge led by grabbing 16 rebounds. Game between the San Antonio Spurs and the Denver Nuggets played on Sat April 13th 2019. The Spurs beat the Nuggets 101 to 96. DeMar DeRozan led the scoring with 18 points, DeMar DeRozan led in assists with 6 assists, and DeMar DeRozan led by grabbing 12 rebounds. Game between the San Antonio Spurs and the Denver Nuggets played on Tue April 16th 2019. The Nuggets beat the Spurs 114 to 105. DeMar DeRozan led the scoring with 31 points, Patty Mills led in assists with 5 assists, and Rudy Gay led by grabbing 9 rebounds. 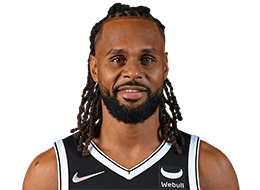 Game between the Denver Nuggets and the San Antonio Spurs on Thu April 18th 2019 at 8:00pm CDT at AT&T Center San Antonio, TX. Watch the game on Fox Sports Southwest - San Antonio, NBA TV. 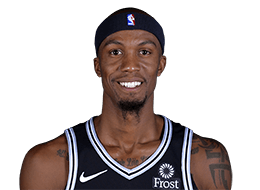 Game between the Denver Nuggets and the San Antonio Spurs on Sat April 20th 2019 at 4:30pm CDT at AT&T Center San Antonio, TX. Watch the game on Fox Sports Southwest - San Antonio, TNT. 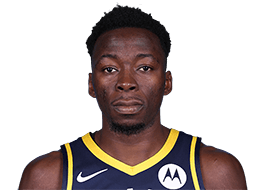 Game between the San Antonio Spurs and the Denver Nuggets on Mon April 22nd 2019 at 11:00pm CDT at Pepsi Center Denver, CO.
Game between the Denver Nuggets and the San Antonio Spurs on Wed April 24th 2019 at 11:00pm CDT at AT&T Center San Antonio, TX. Game between the San Antonio Spurs and the Denver Nuggets on Fri April 26th 2019 at 11:00pm CDT at Pepsi Center Denver, CO.